For anyone who’s been following Yellowcard’s career over the past few years, it should come as little surprise that this self-titled effort will be their last. The Jacksonville pop-punks have been continuing to release a steady stream of albums, but cracks in the facade have begun to show, with the departure of longstanding drummer Longineu Parsons in 2014 and said albums taking a fair dip in quality and memorability, culminating in the listenable but clumsy Lift A Sail. It would seem as though now would be a natural time to call it a day, and as a parting gift is Yellowcard’s self-titled tenth album. Perhaps the biggest compliment that can be paid to this album is that it does feel like a bookend to a career – there’s a feeling of finality that runs throughout in its wistful, heartfelt melodies and overall downbeat tone. It’s a lot less unwieldy than Lift A Sail, and Ryan Key’s clear vocals strive for a poignancy that’s well-realised throughout. And with a shift from outright pop-punk to a more expansive alt-rock sound (inflated just that bit more thanks to Sean Mackin’s weaving violin passages), it lends a sturdier gravitas to tracks like Rest In Peace and A Place We Set Afire. There’s a sincerity to these songs that brings emotional weight to the fore ahead of anything else, which is where the aforementioned finality is the most exposed. The likes of Leave A Light On drip with melancholy, and though lyrics like “Don’t let the past become the reason you’re not here” ignite a spark of hopefulness, the settled feeling of closure that resonates throughout this album, especially on the seven-minute closer Fields & Fences, frames this album as not just an endpoint to Yellowcard’s career, but one that feels natural and comfortable. 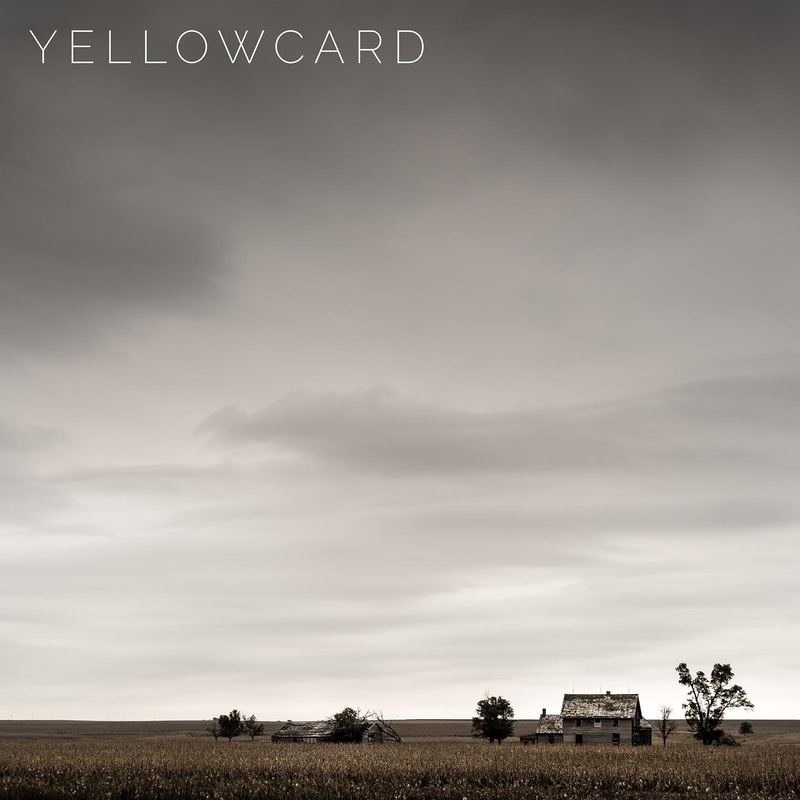 And to be perfectly honest, that’s where this album fits best, because while it’s a definite improvement on Lift A Sail, you’d struggle to find anyone who’d attest that this album is among Yellowcard’s best. It’s certainly a good album, but its smoother instrumental palette lacks some of the pizzazz of an Ocean Avenue or a Way Away, and Ryan Key stays almost completely in his mid-range throughout, meaning that there isn’t a great deal of dynamism or spontaneous spark on offer. Then there are the tracks that just don’t match up to the band at their best – the stodgy electronic drums of What Appears dampen what could otherwise be a solid track, while the guitar work on The Hurt Is Gone feels remarkably thin, and the pensive folk of I’m A Wrecking Ball feels overcast even for this album. They’re the sort of tracks that prevent this album from being the true knockout finisher that it should’ve been, but the peaks here outmatch the troughs. Even at its most standard, Yellowcard deliver a healthy clutch of radio bangers like Empty Street or the surging Savior’s Robes, but this album really peaks when there’s that exploration of new territory for something truly great. These come in the sparse, chilly piano of Leave A Light On with Key’s vocals providing the solitary glimmer of warmth, and the gentle country pattering of Fields & Fences whose delicate guitar picking and sinuous violin make for the most delicate and heartwarming moment on the album. That’s a fair summation of this album as a whole actually, a warm, reflective endpoint to the career of true pop-punk legends. And even though this isn’t the zenith of Yellowcard’s achievements, it still sees them pushing themselves creatively. This isn’t a lazy or perfunctory album by any means, and though some of the experiments that they try don’t always pan out, the fact that they’re on here in the first place rather than a rehash of old material for one last payout is endearing. It’s the most emphatic and tempered swan song that Yellowcard could’ve come out with, and to round off a career as remarkable as theirs, it’s an option that’s paid off handsomely. ‘Yellowcard’ by Yellowcard is out now on Hopeless Records.